Talbot Calligraphy is a 12"x16" plein aire watercolor on 140 lb. Arches cold pressed paper. (See the "Wall Preview" option below the print size tab, then explore your designer wall color with the art). 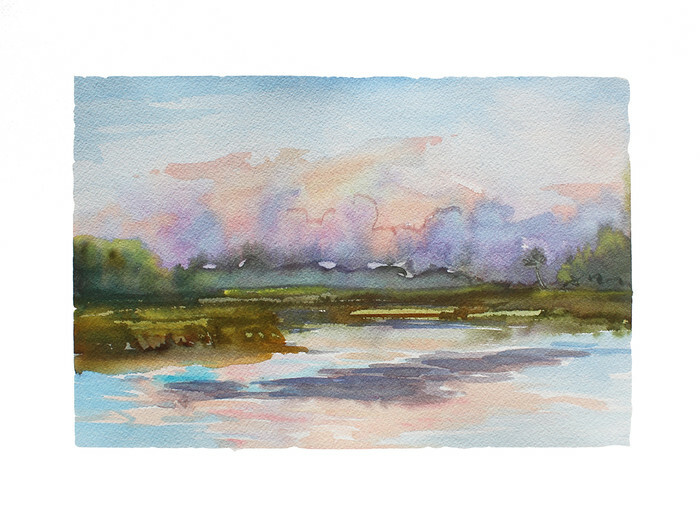 Talbot Calligraphy is a 12"x16" plein aire watercolor on 140 lb. Arches cold pressed paper. It was done upon rising with the morning on the "Now and Zen" charter boat in the Fernandina, Talbot Island area of Nassau Sound. I dashed off this little watercolor, and enjoy the calligraphy of it, as if the whole piece is more a word than a painting! (See the "Wall Preview" option below the print size tab, then explore your designer wall color with the art). Talbot Calligraphy is a 16" X 12" plein aire watercolor on 140 lb. Arches cold pressed paper. ( I recommend printing on Fine Art Paper. See the "Wall Preview" option below the print size tab, then explore your designer wall color with the art). Talbot Calligraphy was done upon rising with the morning on the "Now and Zen" charter boat in the Fernandina, Talbot Island area of Nassau Sound. I dashed off this little watercolor, and enjoy the calligraphy of it, as if the whole piece is more a word than a painting! ( I recommend printing on Fine Art Paper. See the "Wall Preview" option below the print size tab, then explore your designer wall color with the art).